Cristina Neves graduated in Chemistry by the University of Minho, in 2009 she got her MSc in Environmental Management by the same institution and in 2014 successfully completed her PhD in Sustainable Chemistry by the University of Porto. Over the last 5 years, she published several papers in peer-reviewed journals with approximately 150 citations . She also contributed with a book chapter for Elsevier on the potential of nanoparticles in molecular diagnosis. During her PhD and Postdoctoral work, she supervised undergraduate and MSc students. 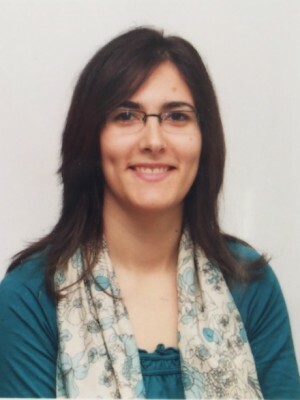 Her work was presented in high level meetings (both poster and oral presentations) and was awarded by different panels with key figures in the field: Best Paper Award, in 2012 (in theXI International Conference on Nanostructured Materials), and a Young Scientist Award in 2013 by European Materials Research Society (E-MRS). She is currently a post-doctoral fellow at the CICECO - Centre for Research in Ceramics and Composite Materials, University of Aveiro working in project MAGICOAT - Controlling the degradation of MAGnesium alloys for biomedical applications using Innovative smart COATings. Structural and compositional techniques: transmission electron microscopy (TEM) and scanning (SEM), atomic force microscopy (AFM), X-ray spectroscopy dispersive energy, dynamic light scattering (DLS), fluorescence spectroscopy and ultra violet-visible (Uv-Vis). Synthesis of nanostructures and nanostructured surfaces. Surface functionalisation of nanostructures to improve their stability and / or compatibility. Development of nanocontentores for the controlled release of active substances (corrosion inhibitors, biocides, pH indicators) and their incorporation into coating matrices, and structural, morphological and electrochemical characterization. 1) Young Scientist Award (2013) - European Materials Research Society (E-MRS). 2) Best Paper Award (2012) - XI International Conference on Nanostructured Materials. 2014, NANOMEDICINE-NANOTECHNOLOGY BIOLOGY AND MEDICINE, 10, 8, 1757-1766. Neves, C.S. Granadeiro, C.M. Cunha-Silva, L. Ananias, D. Gago, S. Feio, G. Carvalho, P.A. Eaton, P. Balula, S.S. Pereira, E.
2013, European Journal of Inorganic Chemistry, 16, 2877-2886. 2012, MOLECULAR MEMBRANE BIOLOGY, 29, 6, 207-217. 2011, ELECTROCHIMICA ACTA, 56, 12, 4498-4503. Lopes, S. Neves, C.S. Eaton, P. Gameiro, P.
2010, Analytical and Bioanalytical Chemistry, 398, 3, 1357-1366. 2009, Comptes Rendus Chimie, 12, 8, 889-894. 2009, ELECTROCHIMICA ACTA, 54, 22, 5120-5126. 2008, JOURNAL OF ELECTROANALYTICAL CHEMISTRY, 614, 1-2, 131-138. Duñach, E. Esteves, A.P. Neves, C.S.S. 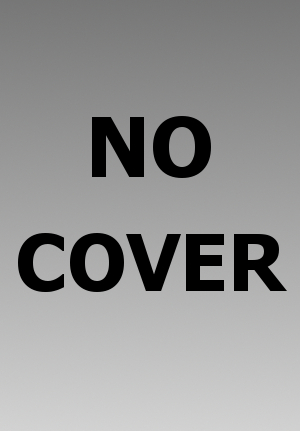 Medeiros, M.J.
2008, ECS Transactions, 13, 49-55. Evans, A. Esteves, A.P. Medeiros, M.J. Neves, C.S.S. Pletcher, D.
2007, ECS Transactions, 6, 11-15. Baptista, P.V. Doria, G. Quaresma, P. Cavadas, M. Neves, C.S. Gomes, I. Eaton, P. Pereira, E. Franco, R.